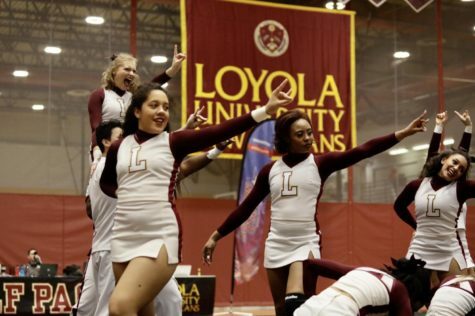 After flipping together on the same mat in high school, two cheerleaders are finally reunited on Loyola’s cheer mat. Tri Le, biochemistry junior, and Madison Ural, design freshman, cheered at Archbishop Rummel High School in Metairie, Louisiana. 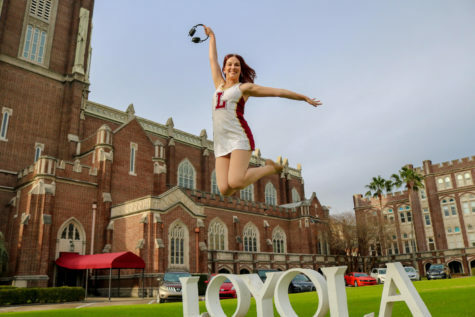 This year both Le and Ural will be cheering side-by-side on Loyola’s competitive cheer team. Le expressed her excitement on cheering with Ural. 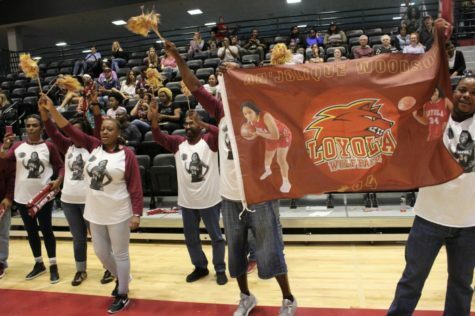 “It’s awesome to see her cheer at Loyola. We cheered together for two years in high school, and since I graduated I have not seen her” Le said. While at Rummel, both cheerleaders racked up the trophies. From 2014-2017, Rummel was the Louisiana High School Athletic Association champion. 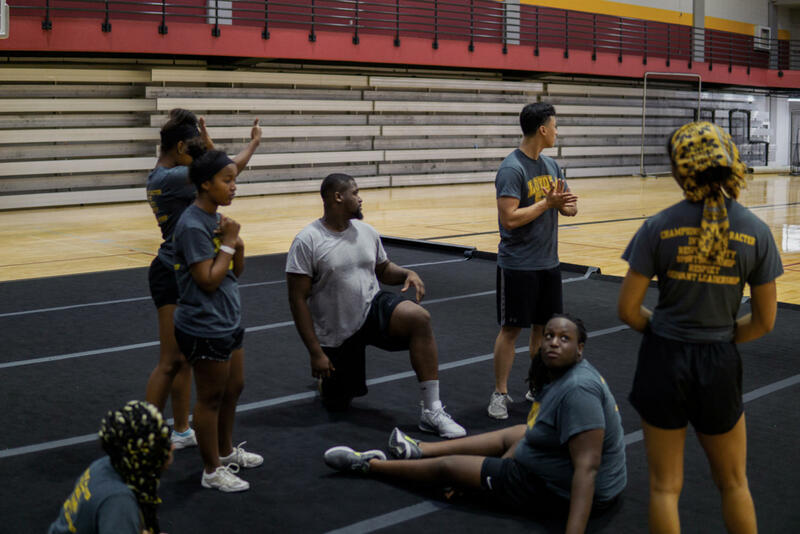 Moreover, in 2014 and 2015, they won Universal Cheerleaders Association National Game Day competition. “It is so nice to see a familiar face coming to a new team,” said Ural. 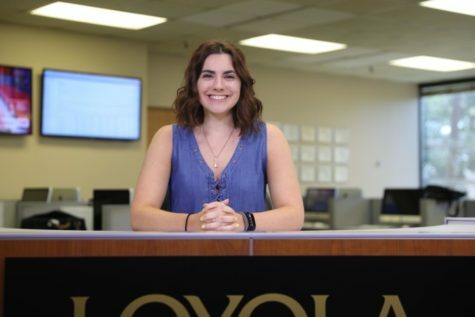 “I was excited when I heard she was joining Loyola’s cheer team,” Le said. Le has been cheering for four years, starting his cheering career his junior year of high school. 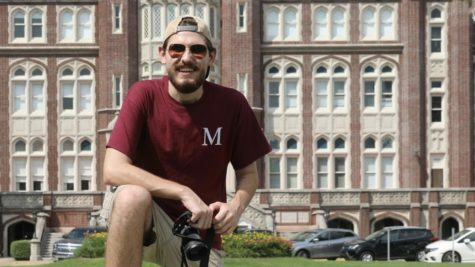 “Tri is an amazing cheerleader and a great person to be around,” said Ural. Ural has been cheering for eight years and cheered all four years in high school. 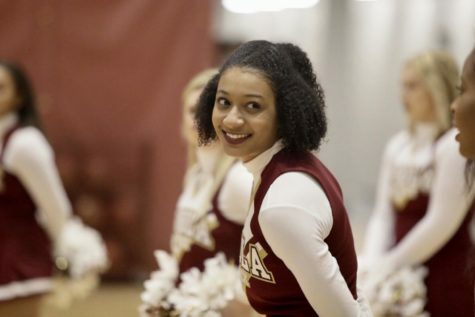 With their reunion, both Le and Ural are ready for competition season, and they hope to help Loyola’s cheer team become National Association for Intercollegiate Athletics champions. 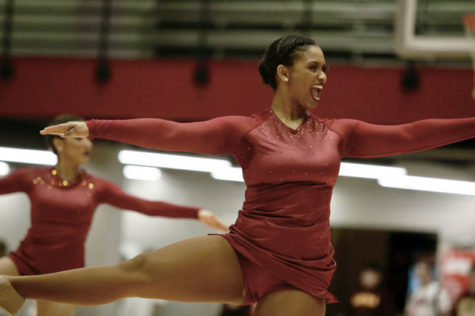 “I am excited to see what Madison will bring to the team, and how she will grow throughout her college years,” said Le. 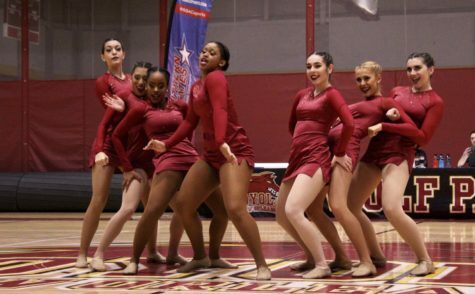 The competitive cheer team will compete Feb. 1 at the Martin Methodist College Invitational.